I, Margarita, started to apply Probiotics in many aspects of my life since December 1999. It has been a journey with the “little ones”, as I call them (the good microbes), that has allowed me to travel in 6 continents, visit 56 countries, meet people, see very good ideas in-action, see lots of disasters in-action, accumulating knowledge and expertise, learning and teaching, and helping in very tiny scale like a grain of sand in the vast desert that never ended, our suffered mother Earth. Many people are asking me, to write a book with my journey experiences, or mention my tips and trick with the “little ones”, but I think that I am not good to write book. However, as more and more people is coming to visit our PROBIOTICS HOUSE located in Reve – Auroville, and discovering what the Probiotics can do for us, our places, and our planet, I decided to start a series of my tips and tricks that could help you better on the way we do today with our daily life and the living things around us avoiding chemicals and waste as much you want and can. And please forgive my writing English, as I am a 100% Spanglish person. Then, lets started. Today I will choose LAUNDRY. Yes, laundry. Today we do laundry either by plastic bucket, by old washing machines, by latest 5 starts washing machines, and so. Well, laundry, as Guidelma says, is my hobby, because I am a Virgo-Virgo + Fire Monkey + extremely observer on the cleaning and disinfection of my entire surrounding life. Laundry if we do with chemical detergents and soaps (thanks to the heavy advertisement on the media) can affect our skin, clothing fabric, washing machines, pipes, septic systems, wastewater treatment plants (WWTP), streams, sea, etc. Just give a look to the foam (thanks to synthetic detergents) collected in Perengudi WWTP in Chennai, and its impact in the houses and stream located behind it. First, see how much you’re washing (and how dirty your clothes are), ask if you’re washing a “normal,” “medium,” or “large” load. A medium-sized or ‘average’ load is about 2.5 – 3 kilos (6-7 pounds), and will fill your machine about three-quarters of the way. Also, as we do have hard water in Auroville, you’ll also need a little extra help with the laundry. -(and soon)All Natural Laundry Bar. Remember, we in MGEcoduties, do not promote plastic bottles for liquid products, therefore you can bring your empty and clean bottle to our place the PROBIOTICS HOUSE in Reve or to PTDC for refilling. Put the Probiotics Ceramic Rings in a net bag inside of the washing machine drum. This help to soft the water. Foam is often associated with the effectiveness of cleaner. This is a perpetual consumer misconception. There is absolutely no link between the amount of foam a product generates and how well it cleans. It is a known fact that the higher a product foams, the more water is needed to remove all soap residues. Large volumes of water can be wasted rinsing the foam off the clothes. Every year millions of litres of “clean” water is used to rinse off extra chemical foaming detergents to be then “dumped” down the drain. Less foaming products lower rinse time and water usage significantly saving water and heat loss. Why waste water rinsing off a lot of useless foam? 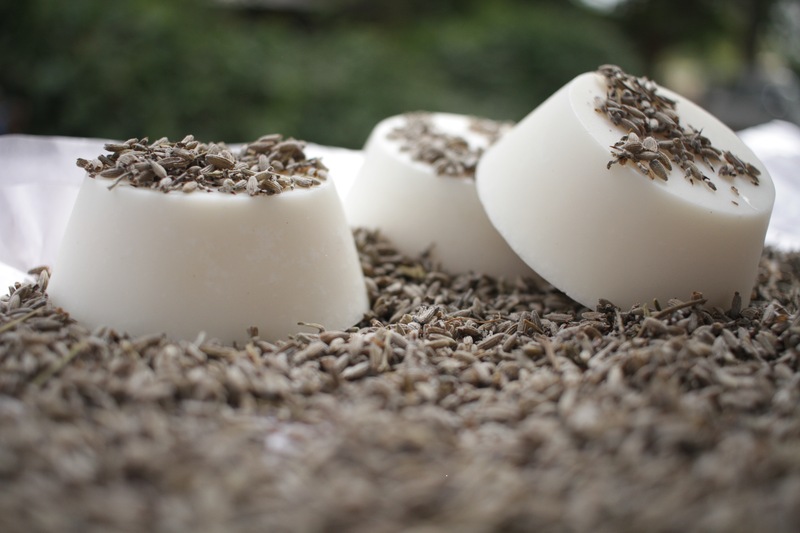 Conserving water is key to the environment and our low foaming natural soaps help you do that. Cotton White clothes for laundry in buckets or both regular and high-efficiency machines. For cleaning, normal cycle, use 1-2 laundry caps of our MGEcoduties Washing Powder. If you’re washing clothes with a lot of stains, 2-3 laundry caps. Any temperature you choose. For the rinse cycle use Proklean Fabric, 3 bottle capfuls. Nice odour and soft. Cotton and Denim Coloured clothes for laundry in buckets or both regular and high-efficiency machines. For cleaning, normal cycle, use 3 bottle capfuls of our Proklean ProDet C. Temperature you choose but better at 30 degree Celsius. For the rinse cycle use Proklean Fabric, 3 bottle capfuls. Wool for laundry in buckets or both regular and high-efficiency machines. For cleaning, wool cycle, use 2 bottle capfuls of our Proklean ProDet. For the rinse cycle use Proklean Fabric, 2 bottle capfuls. Low temperature. Silk for laundry in buckets or both regular and high-efficiency machines. For cleaning, delicate cycle, use 2 bottle capfuls of our Proklean ProDet. For the rinse cycle use Proklean Fabric, 2 bottle capfuls. Low temperature. Delicate clothes for laundry in buckets or both regular and high-efficiency machines. Oily white clothes for laundry in buckets or both regular and high-efficiency machines. Before cleaning cycle, soak for several minutes with our product Proklean GreaseBuster. Then the cleaning normal cycle, use 2 laundry cap of our MGEcoduties Washing Powder. Use temperature of 40 degree Celsius or above. For the rinse cycle use Proklean Fabric, 3 bottle capfuls. Nice odour and soft. For Acetate, Acrylic, Blends, Corduroy, Hemp, Jute, Linen, Polyester, Rayon, and Velvet: For cleaning, delicate cycle, use 3 bottle capfuls of our Proklean ProDet. For the rinse cycle use Proklean Fabric, 3 bottle capfuls. Low temperature. For cleaning, normal cycle, use 2-3 laundry caps of our MGEcoduties Washing Powder. Any temperature you choose. For the rinse cycle use Proklean Fabric, 3 bottle capfuls. Nice odour and soft. For cleaning, baby cycle, use 2 laundry caps of our MGEcoduties Washing Powder plus 2 bottle capfuls of our Proklean ProDet C. Temperature above 40 degree Celsius. For the rinse cycle use Proklean Fabric, 3 bottle capfuls. Nice odour and soft. If you are concerned about the colourfastness of your clothing, wash them first with ½ – 1 cup of white vinegar. This helps to set the colour and prevent clothes from fading. Oops, does not look like Tip, probably looks like Chapter. I do promise that next Tips will be shorter. Reve – Auroville. Phone: 0413 – 2623774.